A spider web is outlined by the light of the sun against the dark background created by a tree in the shadow. 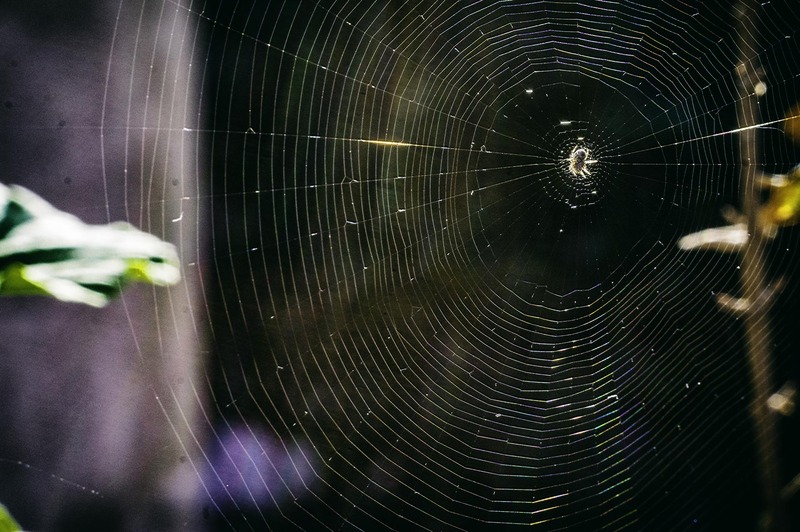 The spider itself can be seen in the centre of its web waiting for the next unlucky victim. This spider web was made in one of the pots on my balcony, in the only place where there is sunlight during winter. The whole construction is not more than 20cm in diameter and the only way to make it visible was to point the camera almost straight against the sun, hence the strong flare visible in the photo. I also used an old Minolta SR lens with an adaptor, which makes it into a macro lens, in order to be able to capture a clear image with a lot of detail. I don’t know how much longer this spider web will be there but I’m satisfied with the result of this photo.